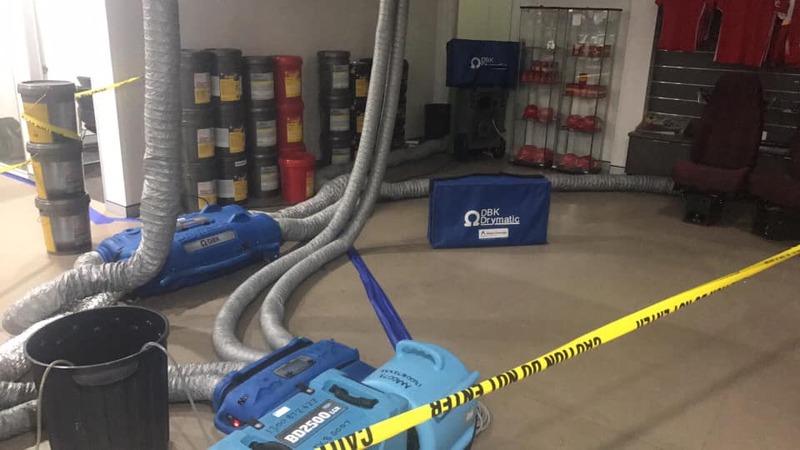 Chris from Water Damage Network successfully completed a commercial job with Drymatic equipment. 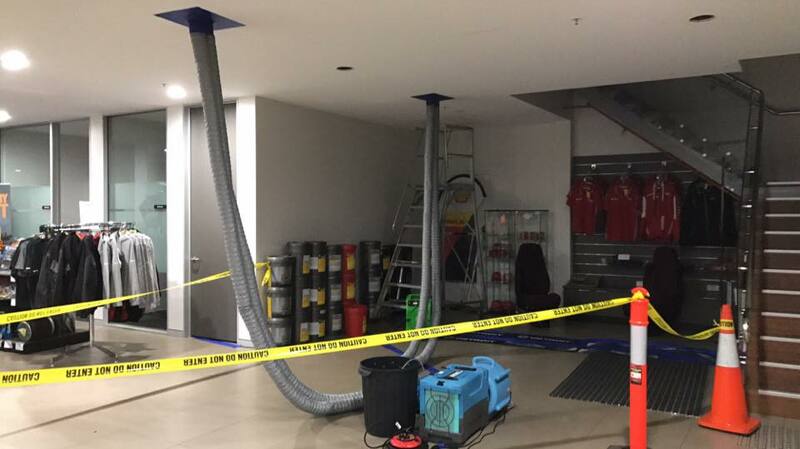 There are several down lights removed which are 200mm in diameter each and 4 inspection doors for ducted air-con system are open, each 500mm x 500mm. 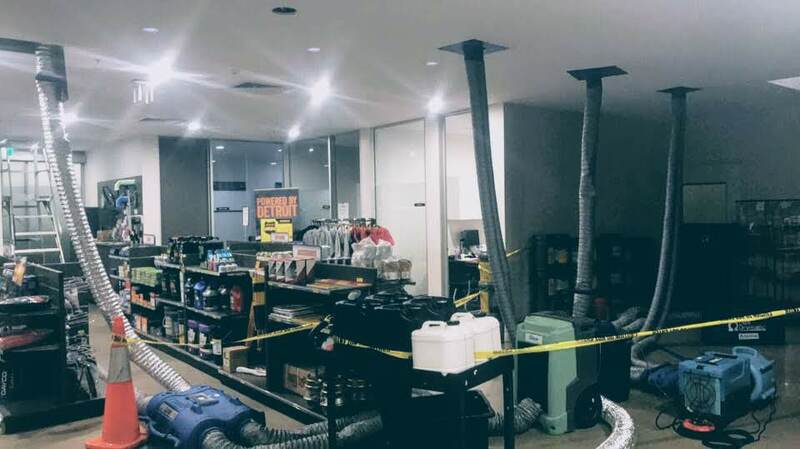 The parts and service department is open from 6am-11pm Mon-Sat, the ducted air-con is set on a timer unable to change. The double glass front sliding doors are constantly opening and there is a 3m stair case opening to the right and 2 access doors at the rear for the employees to enter and exit. The amount of negative and positive energy going on is huge. In addition we are dealing with a 400mm metal galvanised air-con tube that is 21 degrees. So what we did was to use the Drymatic II. 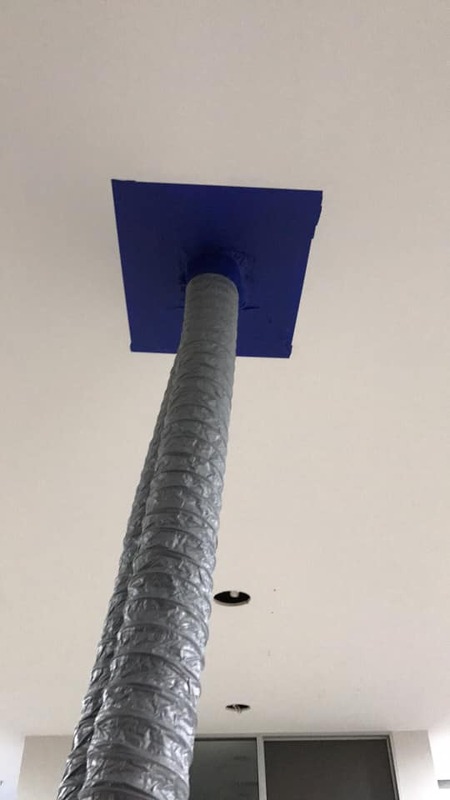 This heat and exhaust system is sucking dry air from the dehumidifier to then heating that dry air and pumping it in to the wet ceiling cavity. At the same time, it is also sucking the wet air and exhausting it out of the drying chamber. 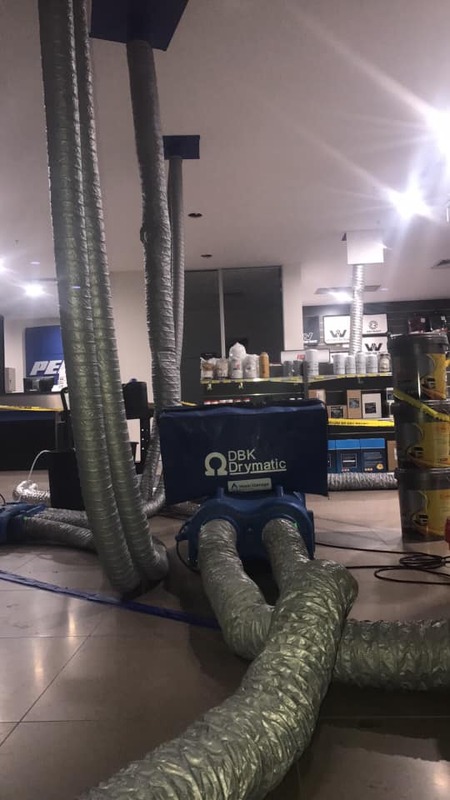 In addition, a Drymatic Boost Bar with a 4 Port setup is getting air fed from a dehumidifier and moving dry air into the air mover. A Fan to Boost Bar Connector is then delivering all the warm, dry air into the Boost Bar accelerating the heat into the 100mm 4-port hoses. 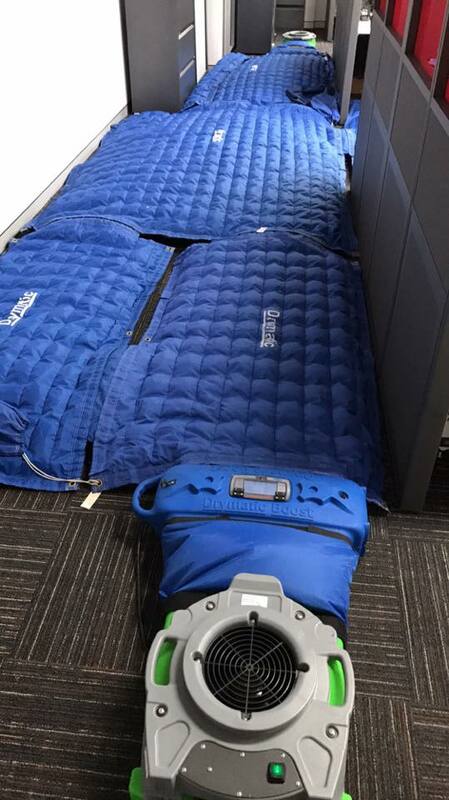 The Drymatic Floor Mats were also used to target the heat from the Boost Bar into the flooring. 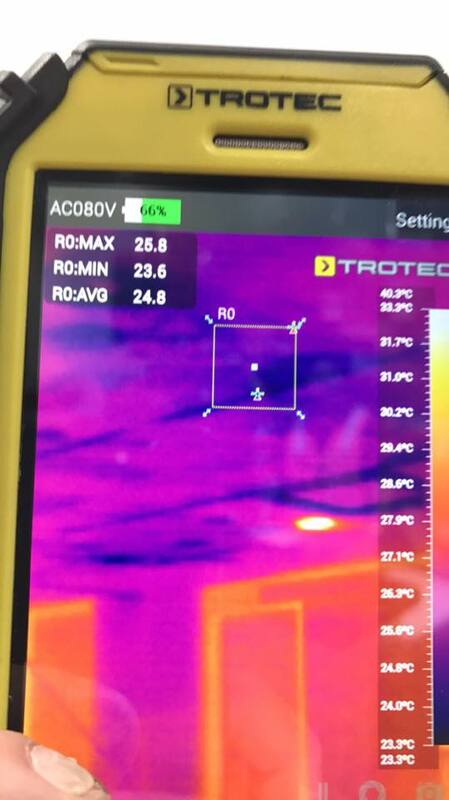 By checking all the moisture levels with the Trotec Expert Restorers Kit and the Trotec Tablet Infrared Camera we were able to target the energy where it was needed. Congratulations from the Restore Solutions team, Chris!